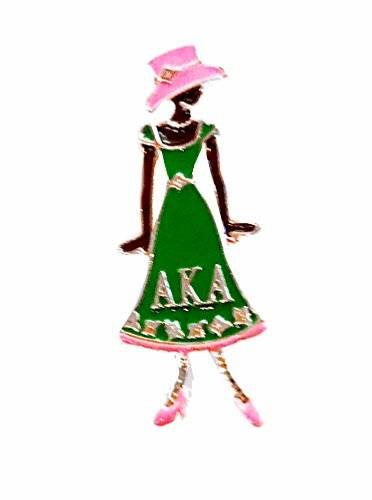 Alpha Kappa Alpha sorority diva Greek letter brooch-pin. Silver, green, pink. App. 2.25 x 1.0 inch (skirt widest point), brooch style clasp. All Alpha Kappa Alpha sorority colors are complimentary. App. 2.25 x 1.0 inch (skirt widest point). If you have any questions about this product by Nathan J., contact us by completing and submitting the form below. If you are looking for a specif part number, please include it with your message.